Just a quick post about my recent annual trip to the San Diego Comic Con! It gets more and more crazy and filled with people every year, and 2012 was no exception. I met some extremely lovely and talented artists for the first time, as well as chatted with some of my favorite artists that I see every year. It did seem as though everyone was more talkative and willing to ‘talk shop’ more than in past years, which was great! Here is a shot of the area where all the massive amounts of people wait in lines to get into the ever popular panels. They camp out for days! 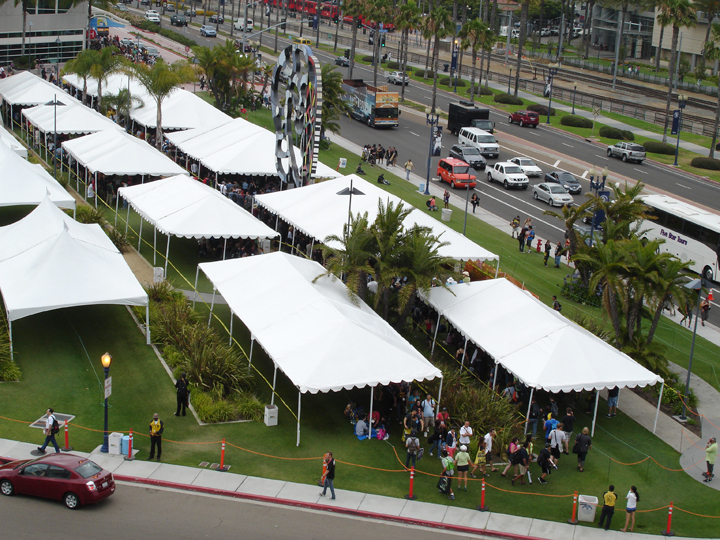 Before the Con started in the morning, all the canopies were filled with people waiting to get into the panels. This shot was taken in the early afternoon. When a friend and I were having lunch outside on the patio of a restaurant, some gleaming chrome across the street caught my eye…I glanced over to see a mini motorcycle and what I thought was a small child riding it. When I mentioned it to my friend, he said, “That’s not a kid! 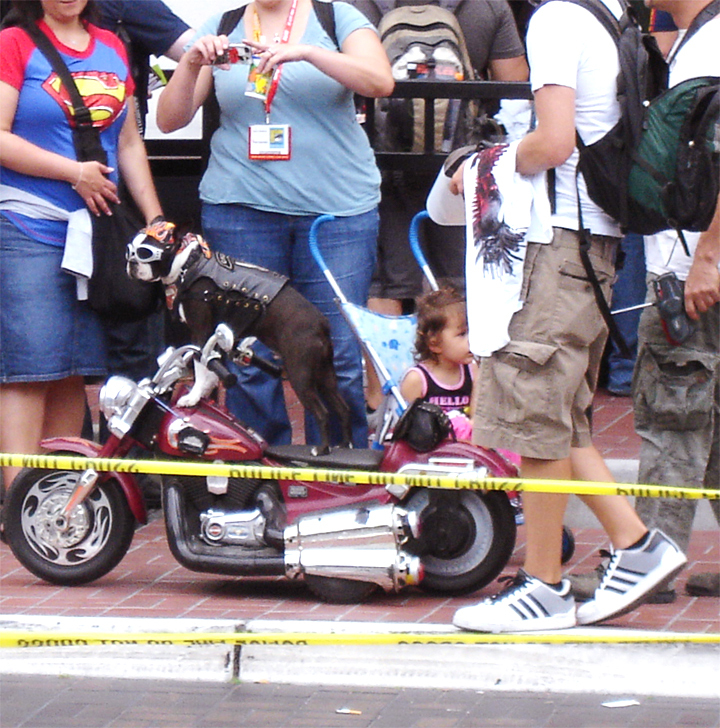 That’s a DOG!” He was right–it was a small dog standing on the seat with his paws on the handlebars!